This Q&A originally appeared in Midwest Energy News. The Renewable Energy Credit Act would expand the types of energy that would count toward credits. It would also remove caps on the proportion of an RPS that can be met through credits – a provision now enshrined in many states’ laws. And it would also allow the renewable standard’s full term – for example through 2025 – to be met in advance by bulk purchases of credits to meet future requirements. The ALEC conference also included presentations by the American Petroleum Institute on local hydraulic fracturing bans; offshore energy as “good sense and good cents”; nuclear energy’s role in baseload electricity production; and the U.S. EPA’s “assault on state sovereignty,” hosted by a representative of the Competitive Enterprise Institute. 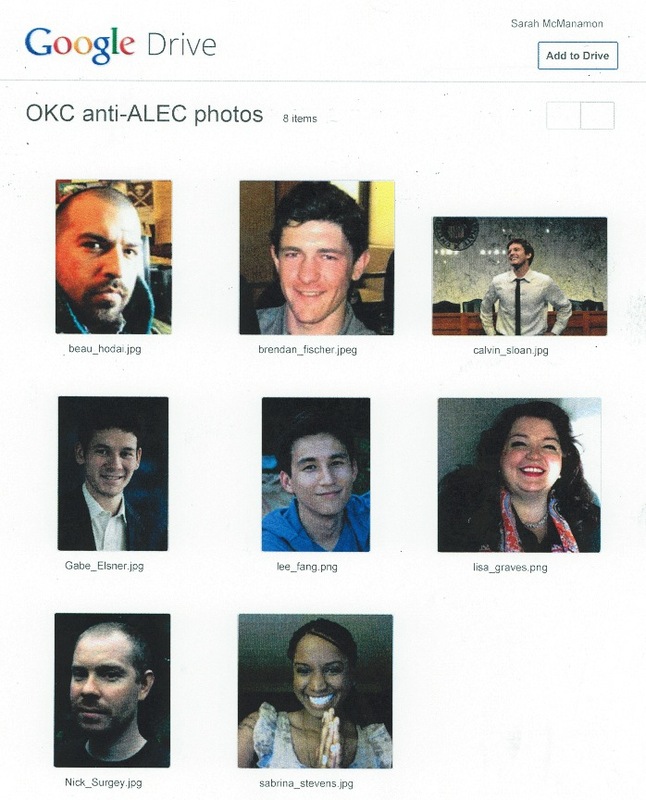 Gabriel Elsner, director of the pro-clean energy watchdog Checks and Balances Project, was among the advocates banned from ALEC’s meeting in Oklahoma City in May. Elsner was in Chicago for the recent conference, in an effort to learn more about state legislators’ and corporate executives’ ties with ALEC. The Checks and Balances Project also collaborated with the Center for Media and Democracy and Greenpeace to publicize ALEC’s confidential agenda and proposed model bills. ALEC’s new model legislation is a stealth attack on RPS’s. They are framed in a way that makes them seem pro-clean energy, but would open up RPS’s to allow sources of electricity – from large hydropower to landfill gas — to be included in state laws that are supposed to incentivize clean energy sources like wind, solar and geothermal. The net effect would be reduced incentives for local, clean energy development in states that adopted this new bill. ALEC’s proposed “Market-Power Renewables Act” doesn’t mention hydropower or landfill gas – how do you figure it would allow such energy to be counted toward RPS compliance? This bill as written would open up the market to the different registries that regulate renewable energy credits. For example, in Kansas, your renewable energy credits are regulated by a different entity than in California. But if Kansas passes this law, they could buy RECs from hydropower plants in California or Oregon to fulfill the entire RPS. That’s already allowed in some states, how would this law be different? I looked at the regional registries for RECs listed in the model bill. REC registries define renewable energy differently – some include hydropower plants as large as hundreds of megawatts. Others include landfills gas and biomass projects. ALEC’s new model bills would create a lowest common denominator that would weaken the traditional RPS’s by allowing out-of-state RECs to fulfill the entire RPS. If building a wind turbine in Kansas cost a dollar and five cents but you could go out and buy an REC for a dollar from a hydropower plant in Maine, the utilities would go out and buy a credit and not build the local clean energy project. It would eliminate the economic benefit and jobs in the state. What exactly is an ALEC model bill and where does it go from here? The bills were discussed by the ALEC Energy, Environment and Agriculture Task Force on Friday and voted on by a combination of corporate representatives like AEP and Exxon Mobil and legislators who sit on the task force. 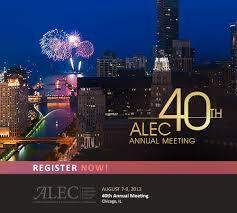 Once it passes the task force, a bill goes to the executive board of ALEC. [If the board approves,] it becomes a model bill and is sent out to ALEC legislators across the country. ALEC doesn’t publish a list of which legislators are members. 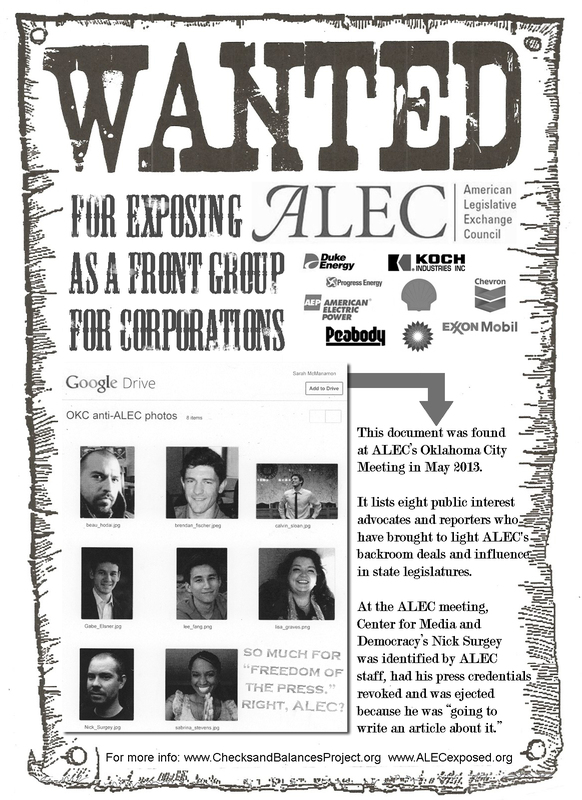 The Center for Media and Democracy has compiled a list at ALECExposed.org. Right now, we know that about 25 percent of all state legislators are members of ALEC. Legislators who attacked RPS’s last year were in Chicago for the conference. At the conference ALEC also discussed a model resolution supporting grid modernization. This would appear to put ALEC on the same page as clean energy groups. Is their support really a way to introduce curbs on improving the grid or promoting renewables on the grid? It would be great if utilities were for grid modernization because it could lead to more clean energy development, smart meters, net metering. But more likely is that members of the ALEC energy task force are supporting grid modernization to maximize the benefits to the utilities at the expense of ordinary consumers. It’s also a model resolution – not model legislation – so it lacks any details on what pieces of grid modernization they would actually support. The model resolution supports cost recovery by utilities, but would they support the increased use of smart meters and net metering? In theory this could lead to increased use of clean energy by opening up a voluntary market for RECs. But it’s more likely that opening the RPS to large existing hydro and other sources of electricity would water down the market and undermine in-state clean energy development. It’s important to point out that RPS’s are already driving clean energy investment. In Kansas alone, it resulted in $3 billion of private sector investment in clean energy last year. These policies are working – if the members of ALEC really want to support clean energy they should work to increase the RPS standards. [The resolution] is a problem because it is a message to our national representatives in Congress. If state legislatures start passing resolutions against a carbon tax, it would send a strong message to people in Washington, D.C. that a carbon tax is not politically feasible. Transparency is always a good thing. ALEC for far too long has operated behind closed doors – lobbying our state legislators on behalf of their corporate members. The Checks and Balances Project is trying to bring accountability to that process by showing the public that major fossil fuel interests are working to impact our energy policy through ALEC. The outlook for clean energy remains strong because smart investments like state Renewable Portfolio Standards (RPS) are combining with technological innovation to produce tremendous growth for the industry and tens of thousands of good-paying American jobs. These policies have successfully stood up to forceful attacks from entrenched fossil fuel interests in more than a dozen states in the past year. Washington should take note that the public supports and wants more energy from renewable sources. At the state level, fossil fuel interests have worked through the American Legislative Exchange Council (ALEC) to weaken or eliminate RPS, because the clean energy industry poses a competitive threat to their market share. State renewable energy standards are projected to add enough new renewable power capacity by 2025 to power 47 million homes. So, it’s no surprise that fossil fuel interests like American Electric Power, Peabody Coal, ExxonMobil and others are working to rollback renewable energy laws. These corporations that sell electricity produced from coal and natural gas are in direct competition with electricity generated from clean energy sources. This year, ALEC members and fossil fuel-funded front groups worked to rollback RPS laws in at least 13 states. But, a bipartisan coalition of business leaders, farmers and clean energy advocates stopped them in their tracks. Of all the bills proposed by ALEC members to weaken or eliminate RPS, 0 out of 13 passed, including in key target states like Kansas, Missouri and North Carolina. Despite failing completely in 2013, ALEC’s energy task force met last week to propose new model bills that would effectively gut RPS laws by allowing large, existing hydro and landfill gas and other electricity sources from out-of-state to count towards the Renewable Portfolio Standards. The Market-Power Renewables Act and the Renewable Energy Credit Act would let utilities meet the clean energy standards by purchasing credits from out-of-state companies instead of generating or buying their own clean energy. In effect, the new model bills would eliminate incentives for in-state clean energy investment that are creating jobs and economic opportunities. Since their inception 10 years ago, RPS laws have leveraged over $100 billion in private sector investment in clean energy in 29 states. ALEC and fossil fuel-front groups are lobbying our state representatives and spreading disinformation behind closed doors to attack pro-clean energy laws. With energy policy mostly stalled at the federal level, fossil fuel-funded attacks on the state level will continue and likely ramp up in the future, posing a major threat to the clean energy industry and the policies that support its growth. Announcing the Western Lands and Energy Dashboard! The sheer scale of the Big Oil rhetoric-fest that was unleashed after President Obama’s State of the Union (SOTU) address was tremendous. But as we read through clips and blogs, we realized there is a lot of poetry out there, but no prose. So we decided to create a one stop shop of easily accessed, easily read facts and figures about American oil and gas development and extraction on western lands. And so the Western Lands and Energy Dashboard was born. President Obama spoke at length about our domestic energy resources and plan during his SOTU. He talked about how the federal government has opened millions of acres for oil and gas development over the last three years, how oil production is at its highest level in eight years. He informed Americans that in 2011, the U.S. relied less on foreign oil that in the last 16 years. This was all great news. You could almost here the collective gasp from the executive offices of BP, ExxonMobil, Chevron, ConocoPhillips and Shell. I’m sure that wherever Rep. Doug Lamborn was – he boycotted SOTU, but his absence didn’t negatively affect the evening – his cell phone started ringing. In fact, Big Oil’s entire spin machine went into overdrive. Kathleen Sgamma at Western Energy Alliance talked about obstacles; API representatives called the President’s speech a smokescreen. Ron Arnold, executive vice president of the Center for the Defense of Free Enterprise, used the words “delay, obstruction and obfuscation” in a column in the Washington Examiner. The new dashboard is an impartial counter to the rhetoric of industry lobby groups such as API and Western Energy Allaince, and the politicians who have deep industry ties as a result of major oil and gas contributions to their campaigns. The facts and figures of the oil and gas industry and public lands development are presented in a simple and clear way for media and policymakers alike. Last year, under the Obama administration, oil companies reported $104 billion in profits and benefited from the highest level of drilling activity since the Reagan era. This is the sort of information the oil and gas industry and their supporters in Congress neglect to mention. The goal of this project is to set the record straight. Visit our dashboard and see for yourself. We intend for the it to be an unbiased source of facts and figures. And help yourself to any of the slides; you’ll notice we didn’t even brand them. In recent months, it appears that top national media outlets have started to cast a more skeptical eye at how “abundant” shale gas really is. Hunt “has only drilled ‘a handful’ of wells in its Eagle Ford shale acreage, which means it doesn’t yet know how extensive or rich those holdings are.” The same problem exists in other shale formations around the country. DeSmogBlog conducted a deeper comparison of the two reports showcasing the similarities between The New York Times and Bloomberg reports. It is clear now that EID lead mislead the public with unnecessary attacks on the Times’ Drilling Down series. 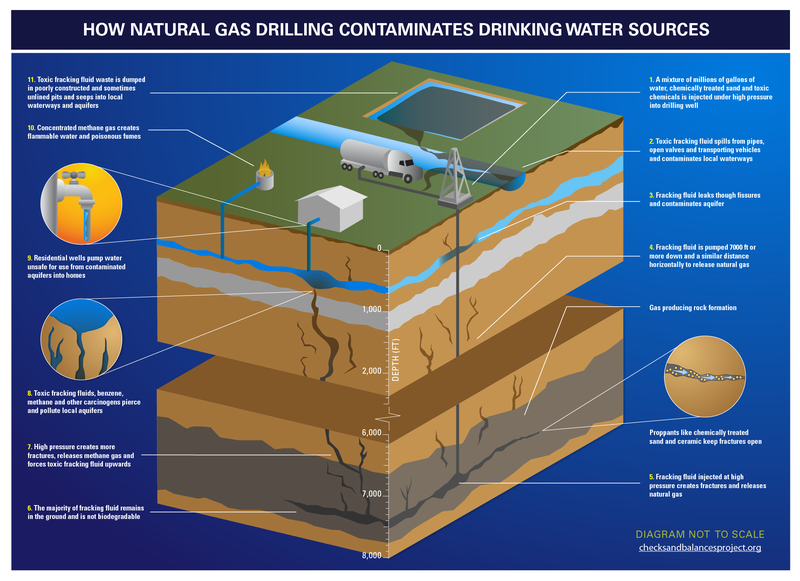 Here’s why this is important: Without looking at the costs of contamination of public water supplies – as one industry study skipped altogether – it’s impossible to meaningfully evaluate the costs and benefits of shale gas. In other words, why talk about “abundance” without talking about cost? Initial reaction to the report is mixed and that’s no accident considering the split membership of the subcommittee. The seven-member committee is made up of scientists, researchers and experts who have ties to both the fossil fuel industry and the environmental community. But absent from the committee’s membership was someone from the public health community. This exclusion has become commonplace as communities from coast to coast try to get to the bottom of hydrofracking. Click here to see those on the subcommittee. This latest omission was pointed out during public conference call shortly after the report was issued. “I find it very interesting that this report contained absolutely no input from medical professionals. But on page eight of your report it outlines that public health is one of the four areas that you are trying to address,” said one of the first callers on Monday. Between other prepared statements from callers on both the pro-fracking and anti-fracking sides another citizen pointed to the absence of a focus on public health. “We are concerned and I am concerned, as a health care professional, about the health impacts of this practice. Why would you let a practice like this continue without knowing what the chemicals can do once they are placed underground,” said Ernie Hernandez of West Virginia. This was hardly the first time a professional assessment of the public health concerns associated with hydrofracking had come back to reflect poorly on the gas industry. Just before the Garfield County health scandal, Dr. Sandra Steingraber, a biologist, well-known author and Scholar in Residence at Ithaca College, reported that chemicals used in hydrofracking could be an “enormous” risk that could cause complications with pregnancies. “Do we want introduce into the environment more chemicals for which we have demonstrable evidence can harm pregnancies. They are reproductive toxins,” said Steingraber in an interview with the Checks and Balances Project in May. Despite these well-documented findings and reports, the Secretary of Energy Advisory Board’s Natural Gas Subcommittee contained no voices from the public health community. This isn’t to say the board’s recommendations were entirely beneficial to the gas industry. The board’s call for the industry to disclose the toxic chemicals it injects into the ground was received well by those in the environmental community. On Monday’s call the chairman of the Natural Gas Subcommittee John Duetch said, “while our recommendations were all unanimous, I think each member of the committee would have done it very differently it were up to the individual.” Even if there were true, it’s hard to imagine public health getting more attention considering the lack of representation.